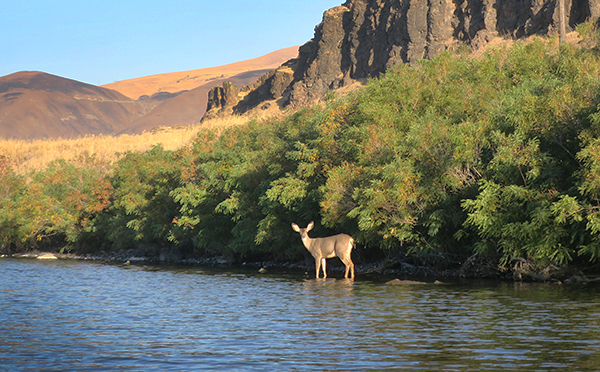 With salmon and steelhead fishing season closed on the Columbia River, local fishermen were trying to figure out what to do now that the best fishing time of the year is gone. Columbia River marinas and boat launches that would be packed with salmon fishermen are empty. The only fishermen left on the river were smallmouth bass and walleye fishermen looking for a few fish around all the gill nets. Salmon fishing gear packed away after one day of salmon fishing, we got out the bass fishing gear and headed east to try and escape the wind and find some late season smallmouth bass. We don’t normally fish for smallmouth bass at this time of year so we really didn’t know what to expect. 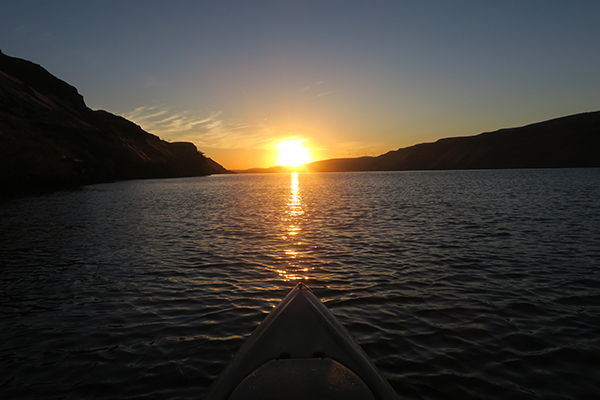 We were up before the sun to take advantage of a few rare calm wind days on the Columbia River this year. The days are getting shorter as winter gets closer so there is less fishing time. As the sun came up over the eastern hills, we saw that we were not the only ones up early for the last sunny days of the season. The smallmouth bass fishing itself was pretty slow. We caught some nice bass in the one or two pound range, but no real big fish. We also did not catch that many fish. 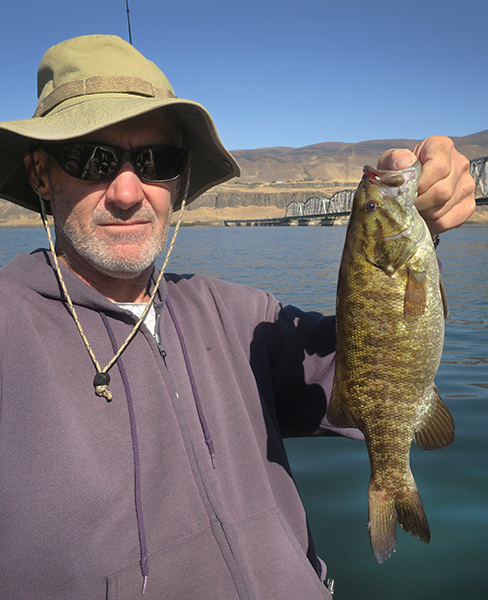 Smallmouth bass are great fighters at any size, so at least you get your money’s worth out of the fish you do catch. 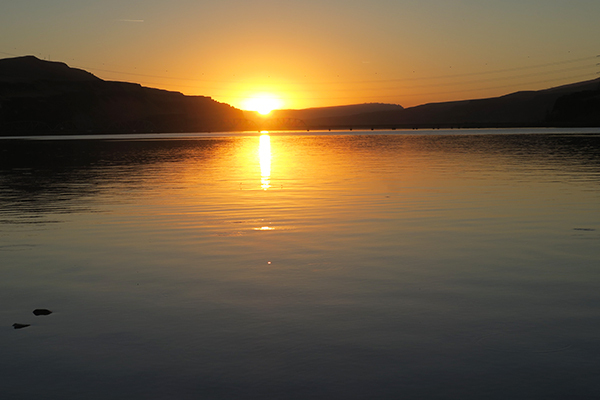 The Columbia River was choked with underwater vegetation, including an abundance of Eurasian Milfoil, an invasive species that is taking over the river. On top of that, everything, and I mean everything, was covered with slimy green algae. The algae stuck to the lures on every cast. We saw the same thing at Mittry Lake in Arizona; when the slimy algae appeared, the fishing got worse. I don’t think you would find much disagreement that agricultural runoff has a lot to do with the increased vegetation in the water. Not sure what can be done, but the Columbia River does not seem to be in very good condition. With no salmon fishing and the smallmouth bass fishing choked off by invasive seaweed, I think that will pretty much wrap up our fishing season here in the Pacific Northwest. This place is still spectacular and has it’s moments, but between the relentless wind and poor fishing, 2018 will not go down as one of the best years ever. The situation with the salmon and steelhead is especially troubling because we have to face the fact that it’s not “just one bad year” any longer. Fishermen are an optimistic bunch so we hope it will be better next year. In the meantime, we have a few things going on and some new gear to try out. We will be heading south for more kayak fishing soon, so check back because there will be a lot of kayak fishing action!